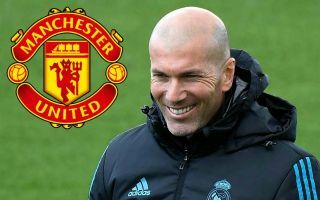 Zinedine Zidane wants to see Real Madrid trio Raphael Varane, Karim Benzema and Toni Kroos join him at Man United should he take over as Red Devils manager. This is according to Don Balon, who note that the Frenchman has been touted as a potential successor to Mourinho at Old Trafford, and that Zidane would want the club to sign the three aforementioned Real stars in January if he takes over as boss. The report also states that Zidane would be keen to see Kroos, Varane and Benzema join him in the Premier League, and that the signing of Kroos would be more realistic with Zidane in charge as manager. With United’s squad looking a bit thin on the ground this season following their failures in the transfer market this summer, Zidane bringing in Kroos, Varane and Benzema would be a massive boost for the Red Devils. Varane is one of the top defenders in world football, and the 25-year-old was a mainstay in the Real side that won three consecutive Champions Leagues, as well as the France team that won the World Cup this summer. Kroos, as well as Varane, is one of the best players in the world in his position, and his acquisition, should United somehow manage it, would be a truly great move for the club to make. Despite Benzema not being at his best these last few seasons, Zidane showed during his time in the Spanish capital that he has a great understanding of how to get the best out of the forward, something United fans could end up seeing should the two move to Old Trafford.